Large corporations are often able to beat small businesses in terms of salaries and benefits, but that doesn't mean every talented professional desires to work at a major company. In fact, many up-and-coming and established professionals prefer to work at smaller companies where they can truly see the impact of their work. If small-business owners want to compete with larger competitors in the search for talent, they must be willing to differentiate their corporate brand in the marketplace. For instance, if a company cannot compete on salary, maybe it can offer a more relaxed work-life balance. Overwork and burnout are major problems for American workers. The employee assistance provider ComPsych reported that workload is the biggest cause of stress for adults in the U.S., above interpersonal issues and job security. Small-business owners can differentiate their companies from large corporations by offering flexible schedules and implementing management structures that remove burdens from their lower-level employees. For jobs that only require a computer terminal, it may be worthwhile to implement a work-from-home policy where employees can choose when they come into the office. Offering flexible hours is another way to encourage professionals with busy family lives. The millennial generation represents a huge amount of talent, and many professionals in this age cohort value diversity in the workplace. In fact, a survey conducted by the Institute for Public Relations found that 47 percent of millennials consider diversity and inclusion in the workplace important factors in their job searches. Promoting an equal opportunity workplace could separate your business from traditional, entrenched workplace environments. Highly masculine or Anglo-centric corporate cultures may be off-putting to job seekers who want to embrace creative and cultural diversity. 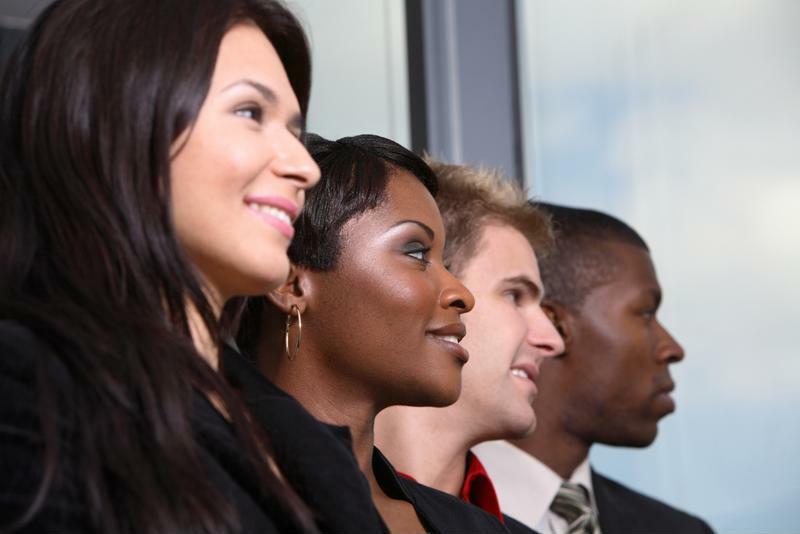 Millennials crave diversity in the workplace. If a job candidate is only focused on the money, let them find it elsewhere. That's the advice the founders of customer retention software company FiveStars gave Fast Company. "When times are bleak, the deeper someone's alignment with your company's mission and values, the more likely they stay on board and help you fight through. People who just want to add startup experience to their resume find it easier to cut bait and jump. When an executive leaves, especially one who joined for the wrong reasons, it can be devastating to morale," said CEO Victor Ho in an interview. During the interview process, ask questions that will help you determine if a candidate's driving morals match your own. If they're just in it to make a quick buck, they aren't committed to your brand's mission. Can job seekers find your company online? Is it easy for them to locate and apply to positions through your website? If your company's website was built five years ago and hasn't been updated since, it's time for a refresh. Job seekers may see an outdated website and assume the company is just as stuck in the past. The Young Entrepreneur Council reported that discoverability is a key metric by which to judge your company's attractiveness to new talent. "A strong web presence for smaller companies makes a world of difference when attracting the right talent," says Mia Eckstein, Business Development Manager for Beacon Hill's Technologies Division in Washington, D.C. "I had a situation in the past where my client did not have a user-friendly website, and the content was not easy to navigate. As a result, the job seekers Beacon Hill represented for their open roles were not as interested in pursuing opportunities with said client and geared their job search toward larger, more well-known companies. Upon hearing this feedback, the client immediately invested in a new aesthetically-pleasing and easily navigable website, resulting in increased interest and investment from candidates." This means you need an updated website as well as a significant presence on at least one or two social media sites. LinkedIn and Facebook are good places to start. Make your company discoverable, and the candidates will follow. Managing a small business and recruiting new employees are two distinct jobs that require equal amounts of work. It's a huge burden for any individual. To ensure you're making an informed hiring decision every time you need a new employee, rely on the services of a professional recruiter. Using a recruitment service will free you to focus on growing your business. Learn more about recruitment services by visiting BeaconHillStaffing.com.